JIPMER 2018 Application Form will be announced through online mode. JIPMER Exam is a university level entrance examination. 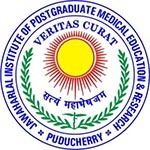 It is conducted by the Jawaharlal Institute Postgraduate Medical Education & Research (JIPMER), Puducherry which is an autonomous institution run by Ministry of Health. Through this exam, candidates can get admission to the MBBS programmes in JIPMER Karaikal & Puducherry campuses. Here, we have mentioned the complete details about JIPMER Application Form 2018 including dates for apply online, eligibility, how to apply and some basic FAQs. Students can fill the JIPMER application form 2018 through online mode only from the website. No other mode will be entertained to register for JIPMER online registration 2018. The JIPMER online application form will be issued from the fourth week of March 2018. Students can apply online till the first week of May 2018. No application will be accepted after the last date of submission. Students have to fill all the details carefully in the application form. No changes will be allowed after the form submission. After the form submission, take a printout of the filled-in application form for further reference. Students can submit the application fee through online mode (credit card/debit card/ net banking). General category candidates have to pay Rs. 1200 (Rs. 1000 for SC/ST category candidates). The NRI/OCI students have to pay Rs. 2500. No application fee will be applicable for OPH students. Nationality: Indian Nationals/NRI/OCI can apply. Age Limit: Student age should be 17 years at the time of the admission. Qualifying Exam: Students have to pass 12th or equivalent examination from any recognized board. Subjects: Pass the above examination with Physics, Chemistry, Biology/Biotechnology as a main subjects. Minimum Marks: Students must obtain a minimum 50% marks (for GEN), 40% marks (OBC/SC/ST/OPH) & 45% marks (GEN-OPH). All tentative application dates are mentioned in this section. Navigate the official website. (Link will be provided above). Click on the “Apply Online for JIPMER MBBS 2018”. Now, you have to fill your basic details, qualification details, communication address, exam city center preferences, etc. After filling all the details, you have to upload the scanned images (photograph & signature) in the JPEG/JPG format. The photograph & signature dimension should be 30mm width x 45mm height. The minimum size of the photograph & signature should be 20KB and maximum size should be 200KB. Before the form submission, you can preview the application form by clicking on “Preview Application Form” button. You will get a message/e-mail in your registered email ID/mobile number containing “Candidate ID” & “Password”. Now, login with the “Candidate ID” & “Password” and proceed further. Choose the payment mode & make payment through online mode. For final submission, click on the “submit” button. Take the printout of the filled JIPMER application form 2018 for future use. If you have any doubts about JIPMER 2018 Application Form, you can leave your query in the comment box. ← Check latest notifications about AIIMS PG 2018 Application Form. Get details of AIIMS PG registration, eligibility, application dates, fee & how to apply.